Autoimmune disease (AD), a condition in which one’s immune system mistakenly attacks the body’s own healthy cells, is currently reported to affect 50 million Americans today. So why is AD virtually absent from the discussion during Men’s Health Month? Autoimmune disease is disproportionately prevalent among women – which account for more than 75 percent of diagnosed cases. As a result, this disease has largely been written off as a women’s health issue. The problem with using that metric to exclude men from the conversation is that with 50 million affected in the US alone, that leaves more than 12 million men (25 percent) affected by some form of autoimmune disease. That is an extremely significant figure. With more than 100 different types of autoimmune diseases, gender does not diminish the impact on those who suffer from them. In honor of Men’s Health Month, I would like to bring awareness of autoimmune disease in men by highlighting pertinent information about this complicated disorder. 2. Autoimmune diseases that affect blood vessels can lead to erectile dysfunction (ED). For instance, with Type 1 diabetes, impotence or ED may occur as a result of nerve or vascular damage associated with the condition. Genetic predisposition – A family history of autoimmune diseases places you at higher risk, as with many other health concerns. Environmental factors – While there is nothing you can do about genetics, it is important to understand that clean eating, good hygiene practice and the avoidance of chemicals and pollutants can help lower your risk. Age – Younger and middle-aged people are more at risk overall, with the exception of certain diseases, such as rheumatoid arthritis, that present later in life. Ethnicity – African Americans, American Indians, and Latinos are more likely than Caucasians to develop AD. Hypothyroidism is the most common in Type 1 diabetes. We also see vitiligo and celiac disease. As a point of clarity, there is a difference between AD and autoimmune sensitivity and reactivity. Millions of men and women suffer from autoimmune sensitivity and reactivity to certain foods, which can present the same symptoms and reactions as many autoimmune diseases. However, this does not indicate a disease where an attack on the body’s own healthy cells occurs. It simply means that the body is rejecting the particular foreign substance (food, chemical or environmental element) that is ingested. Distinguishing the exact cause for the symptoms is paramount to treatment and healing. Cyrex Laboratories, a clinical laboratory specializing in functional immunology and autoimmunity, offers advanced, innovative tests designed to detect food sensitivities and monitor autoimmune reactivities and their possible triggers in men and women. This type of testing could be a great catalyst for helping to pinpoint or even rule out causes of any symptoms you might be suffering from. For example, if you suffer from post-meal inflammation and bloating, the Array 10 – Multiple Food Immune Reactivity Screen would be a great option. If you believe you may have irritable bowel syndrome (IBS), The Array 22 – Irritable Bowel/SIBO Screen might be recommended. For those who have already been diagnosed with AD, the Array 5 – Multiple Autoimmune Reactivity Screen would be a good way to ensure that you do not have any additional autoimmune diseases. Men have been on the sidelines of the autoimmune disease conversation for too long. This Men’s Health Month, it is time to recognize the very real challenges that millions of men are going through every day as they live with AD. For any man that thinks they may be suffering from autoimmune disease, it is always recommended to start by seeking the medical advice of your trusted healthcare provider. Autoimmune reactivity screening is a great place to start and learn more about any potential conditions that may be present. Awareness, prevention, and good health practice is all up to you. 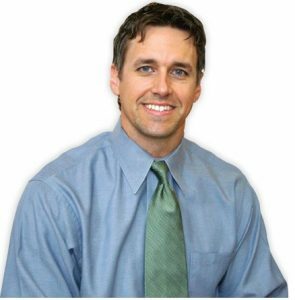 Dr. Chad Larson, NMD, DC, CCN, CSCS, Advisor, and Consultant on the Clinical Consulting Team for Cyrex Laboratories. Dr. Larson holds a Doctor of Naturopathic Medicine degree from Southwest College of Naturopathic Medicine and a Doctor of Chiropractic degree from Southern California University of Health Sciences. He is a Certified Clinical Nutritionist and a Certified Strength and Conditioning Specialist. He particularly pursues advanced developments in the fields of endocrinology, orthopedics, sports medicine and environmentally-induced chronic disease.